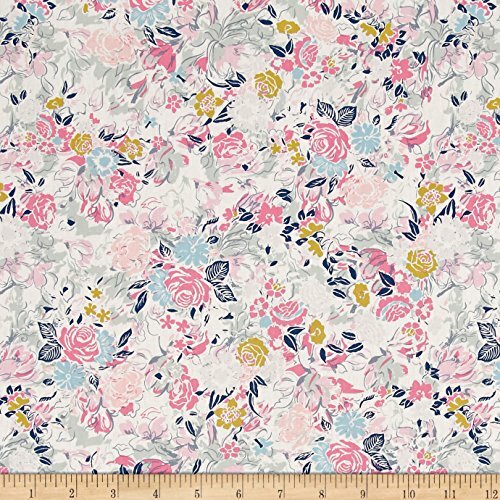 From art gallery this cotton print fabric features stunning spring flowers fresh from the garden! perfect for quilting apparel and home decor accents. Colors include white seafoam green navy chartreuse grey sky blue and shades of pink. 44'' wide. Fabric is sold by the yard and cut to order. For example, order of 1 yard (Qty=1) is 44'' x 36''. Order of 3 yards (Qty=3) is 44'' x 108''. If you have any questions about this product by Art Gallery Fabrics, contact us by completing and submitting the form below. If you are looking for a specif part number, please include it with your message.